When most folks think of Chicago specialties, it’s deep-dish pizza or condiment-stuffed hot dogs that come to mind. 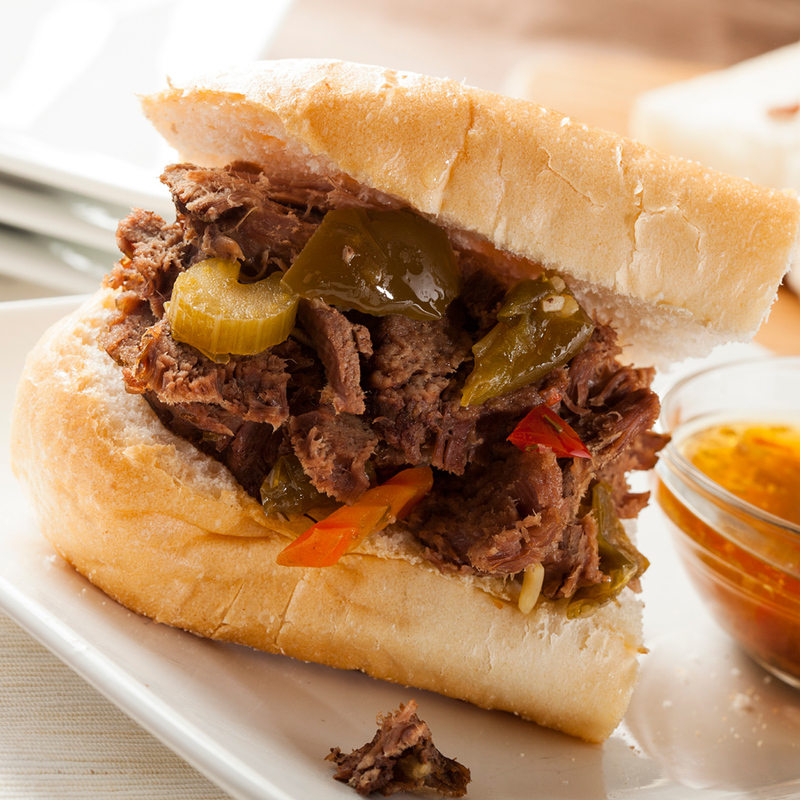 But the Italian beef sandwich is just as worthy of acclaim. Don’t expect any fancy meat here; the key to a great Italian beef is the way all its ingredients come together. The beef itself is soaked in gravy and thinly sliced. The seasonings. The spicy giardiniera. And, of course, dipping the whole damn thing in extra broth. Forget napkins at your own peril. What separates a truly great Italian beef sandwich from a merely enjoyable one? We asked local expert Mike Gebert, a Chicago–based food writer and the author of the award-winning site Sky Full of Bacon, about what makes the best Italian beef. The bread. Expect a soft white roll, generally from Gonnella Baking Co., according to Gebert. “I think if you don’t get it dipped—which means you have a short time to eat it before it falls apart—you’re a wimp,” he says. Should you opt for a combo—which includes a link of sausage—it’s best when it’s grilled over charcoal. “It’s a pain, in a little building in the city. But if they care enough to do that, good for them.” And giardiniera is key, whether or not the condiment’s made onsite.